Oscar-nominated actor Jesse Eisenberg claims Lionsgate is trying to dupe fans into seeing a movie in which he barely appears. Oscar-nominated actor Jesse Eisenberg is suing Lionsgate for promoting a straight-to-DVD horror film in which he briefly cameos as if it were a starring vehicle. 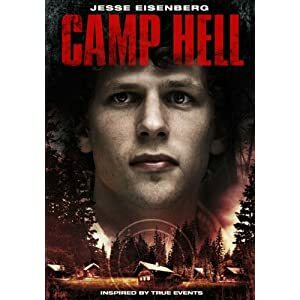 "The Social Network" star and Oscar-nominated actor Jesse Eisenberg would like his fans to know that, despite a DVD cover featuring an enormous blow-up of his face, he is not the star of "Camp Hell." Eisenberg is so upset over what he feels is a ploy by Lionsgate to dupe fans that he is suing the studio for $3 million, claiming they are taking what is, in reality, a less-than-five minute cameo in the direct-to-DVD horror film and using it to promote the film as an Eisenberg-starring movie. On the DVD cover, Eisenberg's name even appears above the title (and is the only actor credited on the cover), which would appear to indicate that he was the star. In a suit filed in a Los Angeles court last week, Eisenberg makes it clear that his intention is to "warn his fans and the public that, contrary to [the film's advertising], [he] is not the star of and does not appear in a prominent role in 'Camp Hell.'" The film, which co-stars Bruce Davison, Dana Delany, and Andrew McCarthy, is about a bunch of teens at Bible camp who are attacked by a demonic presence. The film was widely panned, with many critics noting that Eisenberg's cameo is not only extremely short, but fairly nonsensical in terms of the film's plot. 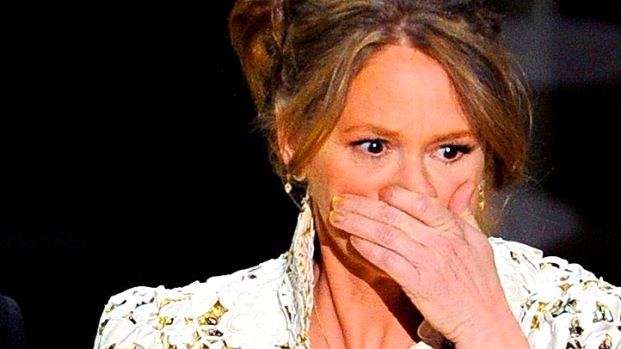 There has been no statement yet from Lionsgate on the lawsuit.